How To Catch The Vlei Kurper On Fly? 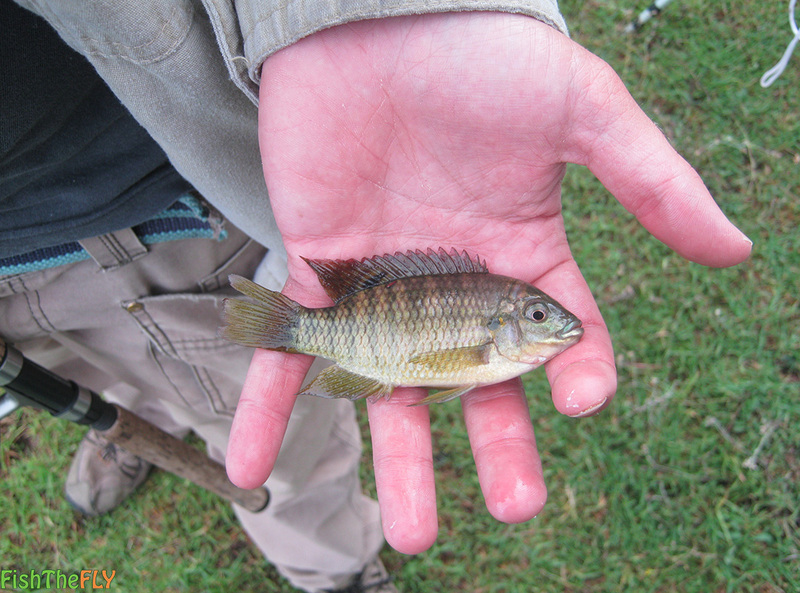 The Vlei Kurper (Tilapia sparrmanii) is also known as the Banded Tilapia, and is true Tilapia species belonging to the large family of African Cichlids. It is a small, but beautiful freshwater fish species that comes in all sorts of colour variations, depending on it’s habitat. They are generally a metallic green or olive green colour, but they can go very light and some Vlei Kurper are almost completely black. When they breed the male fish have red edgings on their fins, which make them extremely pretty to look at. They can grow up to 25 centimeters or so and weigh up to 600 grams, but most specimens around 15 centimeters in length. They are found throughout South Africa, and have been translocated to a variety of destinations as a fodder food for Bass. They are common in most major rivers and dams in the central, eastern and northern regions of South Africa, and can be a fun species to catch on fly. The Banded Tilapia can survive and thrive in a variety of different habitats, but they prefer the calmer water of rivers and stillwaters such as dams. They do require some form of structure, such as submerged trees, sticks, rocks and so on. They prefer hanging around aquatic plants and submerged vegetation. The Vlei Kurper is omnivorous, and is an opportunistic feeder. They will feed on algae, plants, insects and small fish, such as mosquitofish (An alien fish species that has been introduced to many waters around South Africa). The male fish build a round shaped nest where the eggs are guarded with ferocity. The male fish is an extremely aggressive species, and one can target them on fly with great success during the time of spawning and breeding, which happens in Spring and Summer. The colours on this fish during breeding are magnificent. 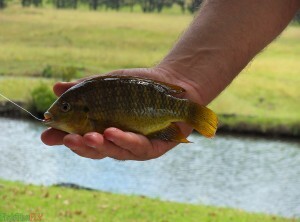 The Vlei Kurper are one of the smallest species of Tilapia in South Africa after the Dwarf Kurper (Southern Mouthbrooder) and the Cape Kurper. Vlei Kurper are an aggressive species, and can be caught on fly readily. Many anglers catch them on nymphing techniques used for Trout and Yellowfish, but if you want to specifically target them, you will need a light fly fishing setup. A o-2 weight rod and reel with floating or intermediate line is suggested. Otherwise, if you do not have this setup, you can target them on a 4 or 5 weight, but they won’t be much fun to catch. 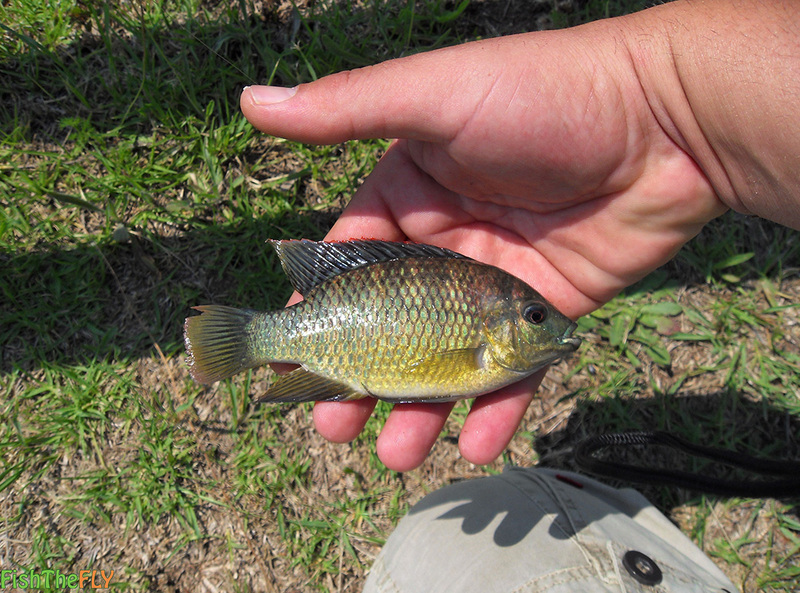 The best time to catch Vlei Kurper (Banded Tilapia) is during the spring and summer. All sorts of retrieves can work when fishing wet flies, and a bit of wind is ideal when using nymphs. Small flies are the key here, the smaller fly, the better the chance you will have of hooking one of these fish. Vlei Kurper are responsible for a lot of bites that cannot be turned into hook ups when fishing around structure and vegetation.